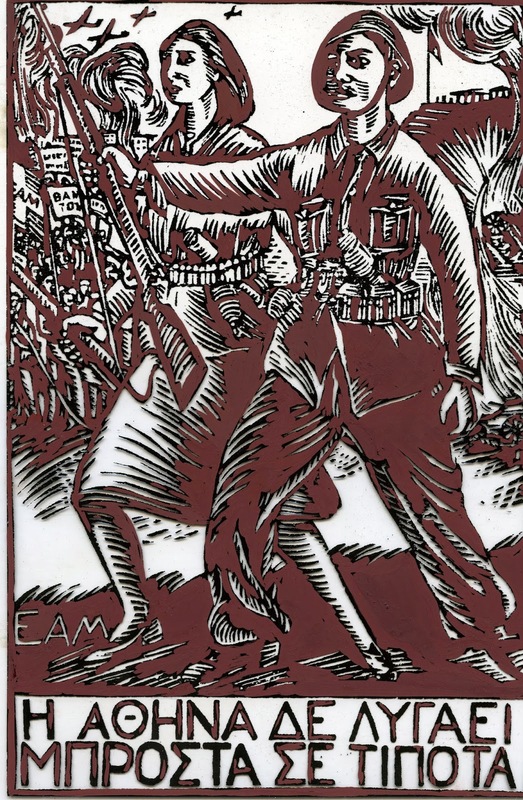 chooses either the chains or the arms"
It was a Sunday exactly 70 years ago when a peaceful protest of EAM (National Liberation Front) was turned into a massacre. It was the beginning of the, 33 day long battle, of Athens. 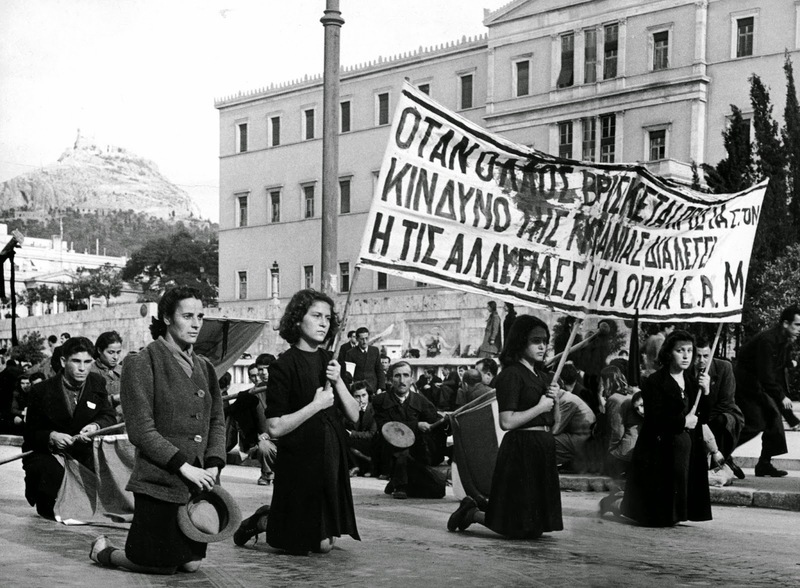 It was the day that the people of Athens chose again to pay the big price of blood in order to preserve its dignity and freedom. Freedom that had been won with countless sacrifices during the Nazi occupation that lasted more than 3 years (21.4.1941 - 12.10.1944). This time an "ally" was about to be the enemy... 60.000 British troops provided the best support to the Greek bourgeoisie class in order to achieve its goal. To come back to power no matter if this was fully against people's will! 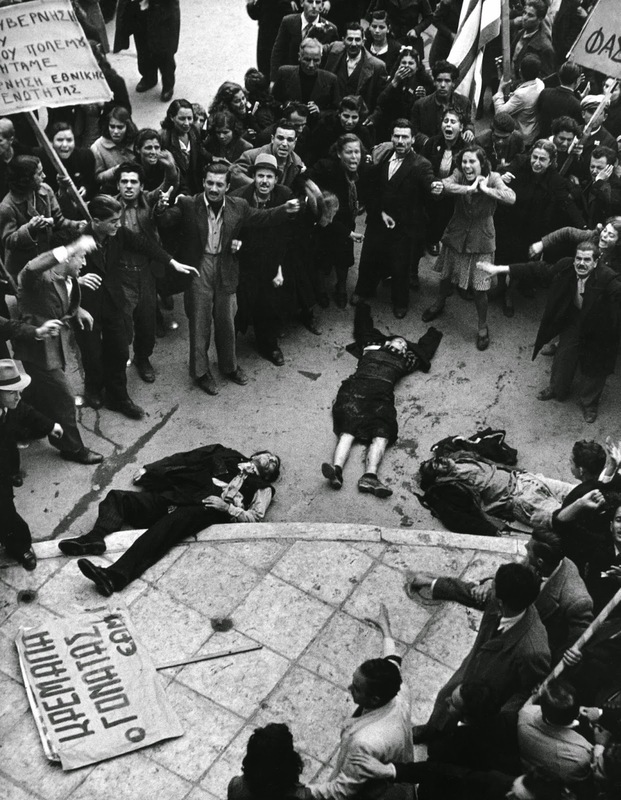 Greece became the only land in post war Europe (together with West Germany) that the ex - collaborators of the Nazis not only didn't get punished for their crimes against the people but also became an organic part of the postwar state. Upon the danger of a new Tyranny people of Athens chose the arms and not the chains. For 33 days gave a heroic and unequal battle. But it didn't win. It didn't win only in military terms. It was the moral and ideological winner of this battle. Today the peoples all around the world seems that have chosen the chains. The only thing is that a minor part can feel these chains as it moves and tries to break them! Using a Rosa's Luxembourg quote "Those who do not move, do not notice their chains". «Αστραποβολά ο λαός μέσα στις συνοικίες. Με μια ψυχή πέτρες λοστούς και σίδερα κινεί. Για πολεμίστρες στους εχθρούς πυργώνει τις γωνίες. Κι από τα οδοφράγματα η Λευτεριά θ' αρθεί». Αναρτήθηκε από Død στις 11:08 π.μ.